Denise is responsible for the administrative systems and financial controls within Amelans which ensures the smooth running of the practice and provides the necessary support for the legal teams. Denise also has the responsibility of administering the marketing consortium Injury Lawyers 4U in order to ensure its prominence in the world of Personal Injury claims. Following on from University, Denise joined an accountancy firm in Cheshire where she continued her studies and later qualified as a Chartered Accountant and became a Partner. In 1999 she was invited to join the team at Amelans as Director of Finance. 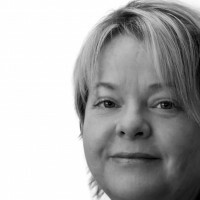 Denise is a member of ICAEW (Institute of Chartered Accountants in England and Wales). Denise enjoys watching sport – mainly cricket and rugby - and although she has supported Lancashire and England many times from the stand, will more often nowadays be found supporting them from the comfort of her sofa. Denise also enjoys travelling especially to less popular destinations both in the UK and abroad. Her love of travel does however restrict her desire to have a house full of animals. She currently has just 2 cats, both from a rescue centre, and now totally pampered and referred to by her friends as ‘pigs in cat suits’.